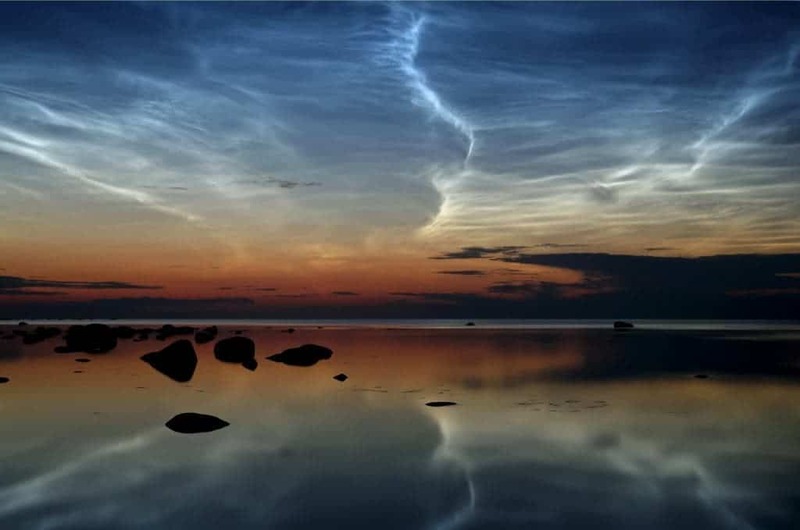 Clouds have inspired poets since immemorial times and they’ve even puzzled scientists – it almost seems like there’s something out of this world about them. 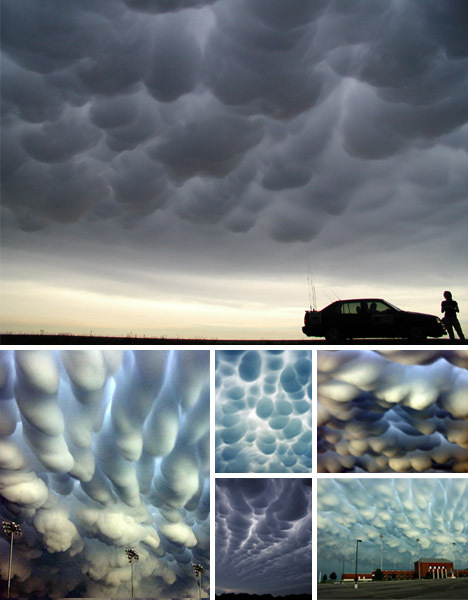 If you think that’s true, just wait until you see these amazing clouds. These pouch-like clouds seem to be the harbringers of thunderstorms or tornadoes and (in many cases) that’s exactly what they are. 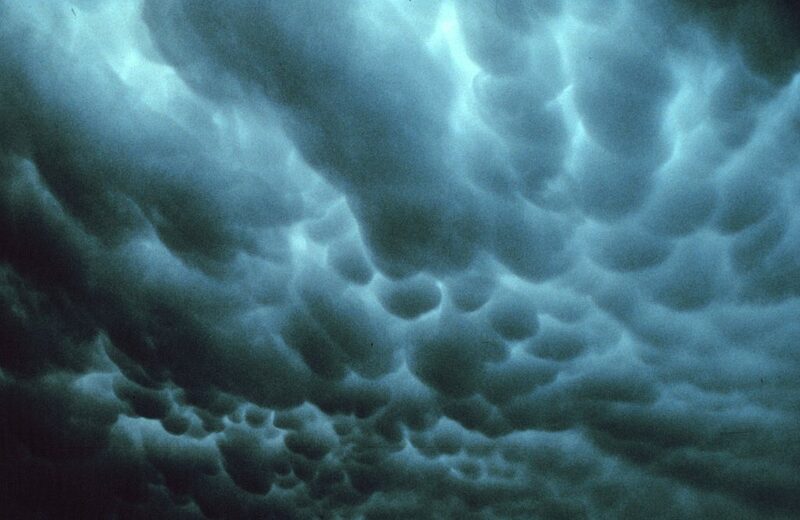 They form after a long and warm periods and the intensely sheared environment in which Mammatus forms makes them every aviator’s nightmare. 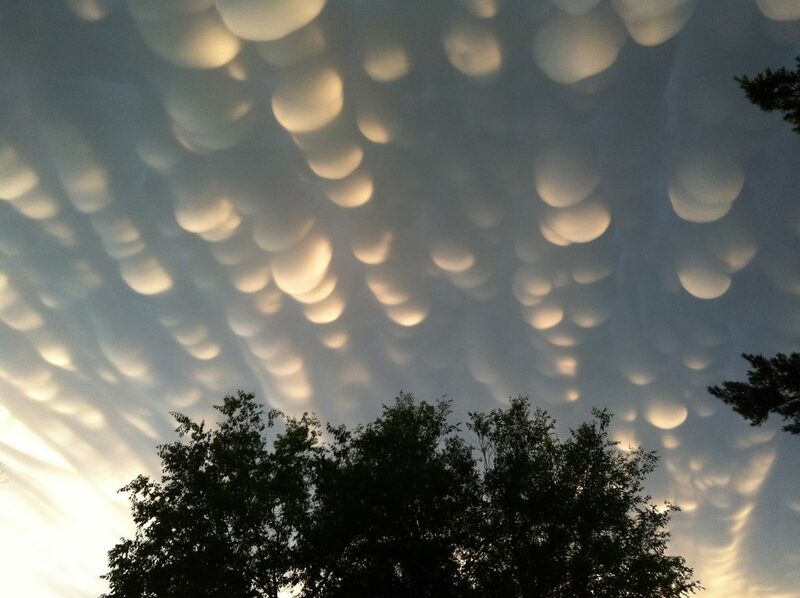 These jellyfish clouds are formed a mass of moist air moves fast from the Gulf Stream and gets trapped between two layers of dry air. 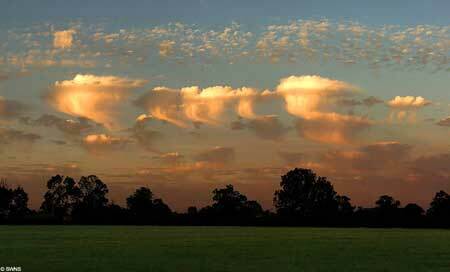 The part from the top rises while the evaporated rain drops form the lower part of the cloud. 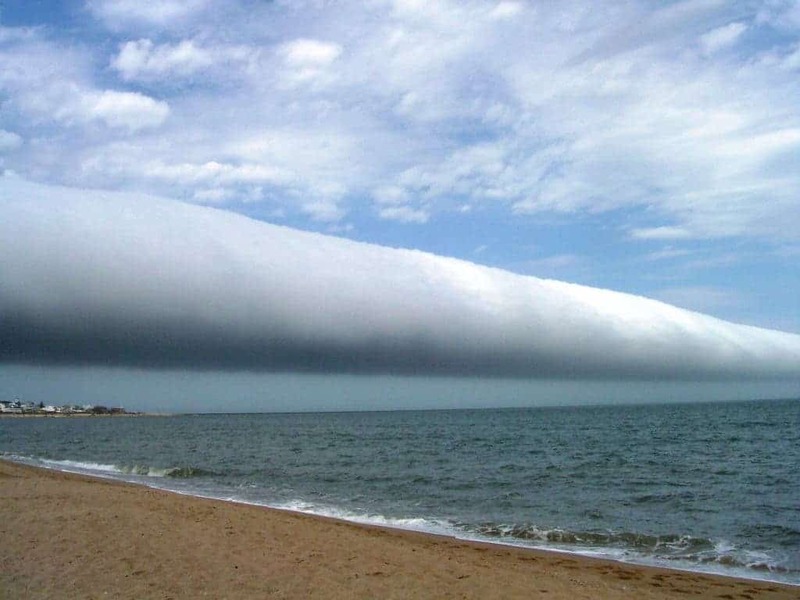 Roll clouds seem to be taken out of a new Stargate series or some Sci-Fi series and they’re truly an amazing sight. Photo by Daniela Mirner Eber. 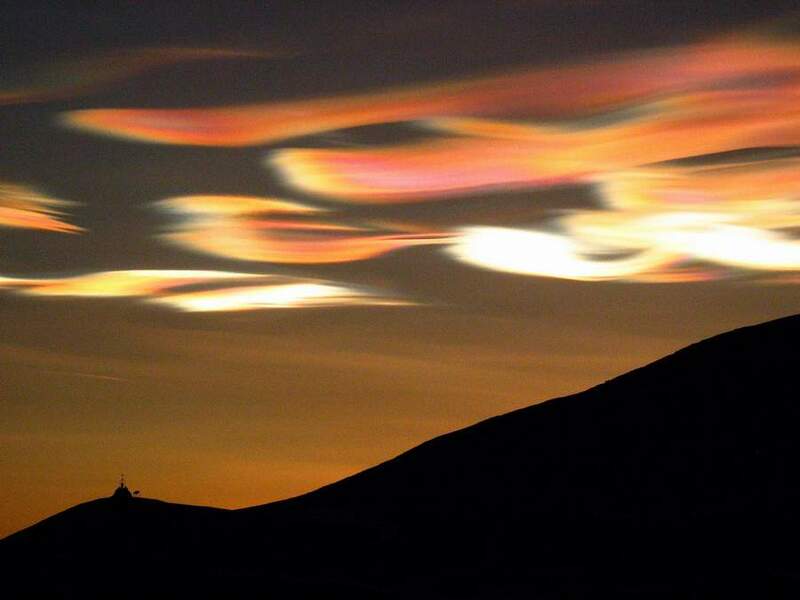 Nacreous clouds are also known as Polar stratospheric clouds (PSCs) and they are formed in the winter polar stratosphere and they have a big impact in creating ozone holes as they further contribute to the depletion of ozone by supporting chemical reactions that produce active chlorine which catalyzes ozone destruction. 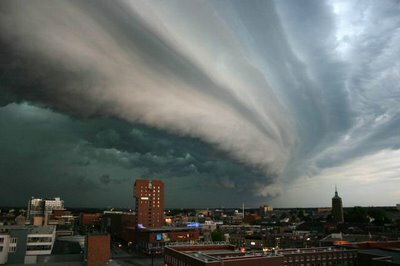 Bad, bad clouds! 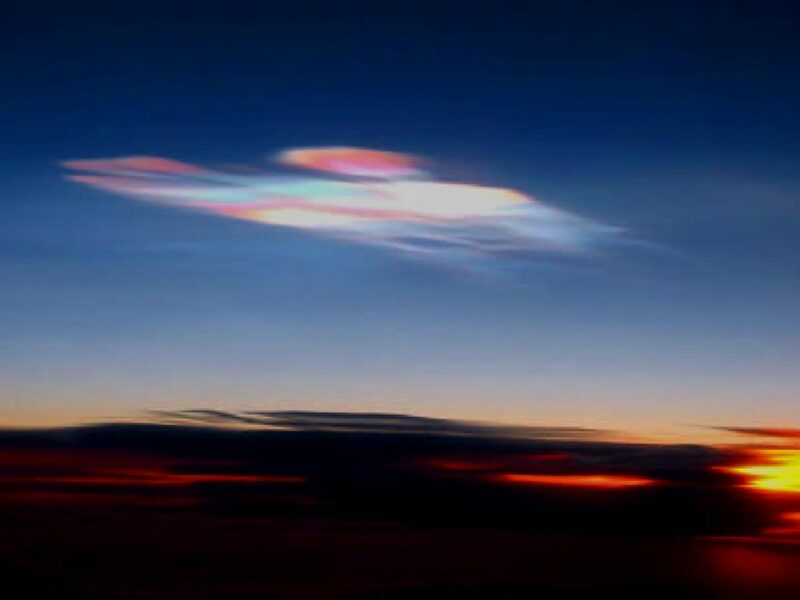 Also called mother of pearl clouds or sun dogs, these rare clouds are rarely seen, but once you do, you most definitely won’t forget them. But if you haven’t, here are some videos. 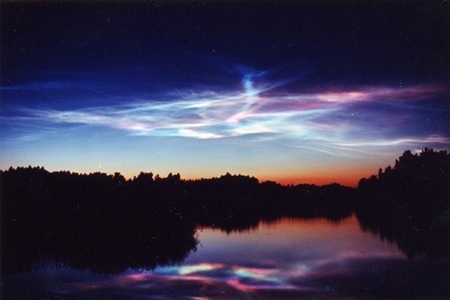 In all fairness, noctilucent clouds should actually be called cloud-like phenomena as they are formed at very big altitudes, from 76 to 85 km (even 100 km by some), making them the highest formed phenomena that could be called clouds; yeah, they are formed on the border between our atmosphere and space. 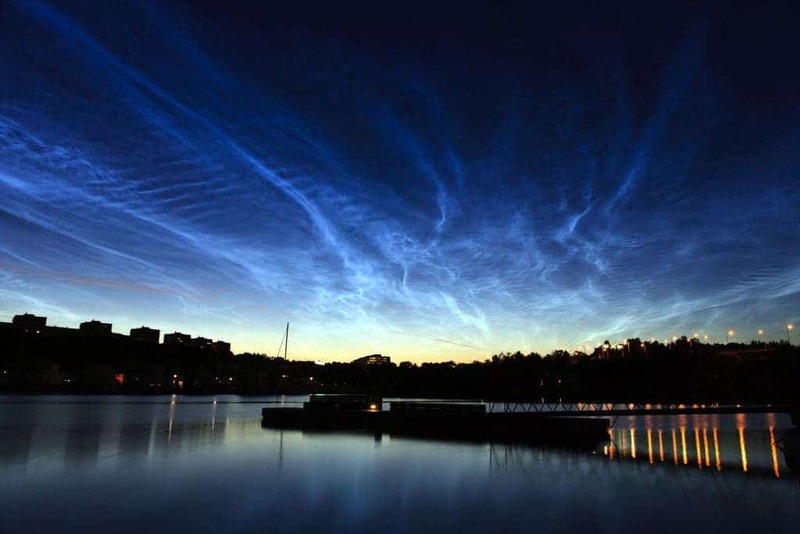 They are extremely rare and usually, even when visible, very very faint. Their seem to be very luminous, but what they actually do is reflect the sunlight from the other side of the earth at night. 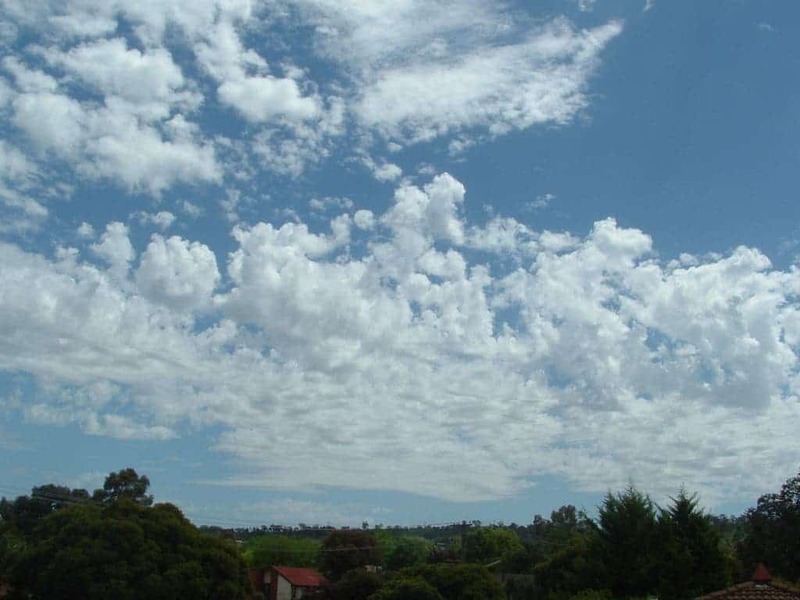 Last but most definitely not least, we have mushroom clouds; these very distinctive clouds are the result of smoke, condensed water vapor, or other similar substances after an explosion or eruption. 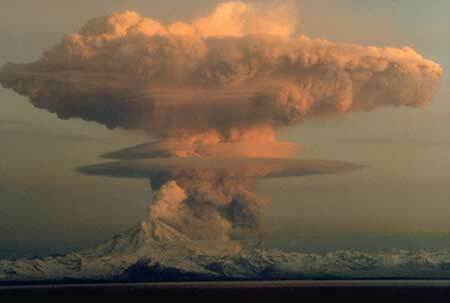 They are especially known from nuclear explosions, but any big enough blast can form them, including natural sources.